I recieved a beautiful swap card from Erika at Founders circle 2010 ( Below) ) and I just love her card so I made one with slight changes . Then I added a Thank you greeting. I did all the stamping 1st then ran about 3/4 of the whisper white card stock through my Big shot with the Perfect Polka dots embossing folder# 117335. I recieved this Christmas gift card holder swap from Connie at Founder circle 2010 . I love Connie's swap so much I thought I would made one with slight changes. I used the Bells & Boughs stamp set #121142 in the Holiday mini. Instead of ribbon I used the Basic Pearls#119247 for mine. Here is another project we made at Holly's workshop. Here is the Christmas card we made . I changed the layout a wee bite from the one I cased from Susie Wood which I got her swap at Founders and I really love this Santa face from the new stamp set called Jolly Old Saint Nick # 121321 from the Holiday mini HERE . Here is the one I cased from Susie... Notice the changes ? My card sits upright and the Candy Cane Christmas DSP # 120809 is layered at the top I added a sweet bow with White Taffeta Ribbon # 109070 and stamped Merry Christmas from the Christmas Greetings stamp set # 115448. One thing I love so much about stamping is with just a few simple changes it can make a card look totally different . Have a Terrific Tuesday friends . I thought I would share just a few photos from Founders Circle 2010 with you .. I have over 400 photos to go through and I uploaded some of them HERE and hopefully will have even more photos in my Founder Circle 2010 gallery by this weekend for you to look at .. The 2nd photo is what was greeting me as I entered my room such an awesome touch since Founder Circle was all in the 50's theme and the record was a fabulous ( no pun intended) touch .. The next photo is my great friends ( Lisa, Tiffany, Me & Diana) we were all decked out in our pink and black bowling shirts SU! left for us as a pillow gift Friday night for the "Fabulous" event SU! was taking us to Saturday afternoon. We all thought we were going bowling which we kinda did But not the bowling we thought . The event was for Wii Bowling OMG !! check out the photo with all those Wii screens Holy Moly what a Blast ..There was even more on the other side I just couldnt capture all of them in just 1 photos . Founders Circle was AMAZING . Thank you Stampin'Up! for treating us like queens. It is something I will treasure forever . Todays video I will be showing you my Founder Circle swaps. I made 135 swaps . This card was so much fun to make BUT had to break up stamping all of them into daily sessions since I could NOT sit and stamp all 135 swaps in one sitting . Lets click on over to my STAMPING STUDIO for todays video . I will be away from my computer over the next few days . If you have any questions about placing an order online with me HERE or about SU! 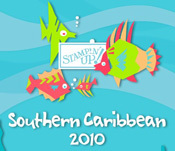 products please contact Stampin'Up! at 1 ( 800) STAMP UP . A quick reminder Starting today Sept 15- 19th when you place a minimum order of $50. ( before S&H and tax) you will recieve an extra FSM token . So instead of (1) FSM token you will get (2) . The Extra Frequent Stamper Miles token will be credited to (1) of your SU! orders you place on the dates mentioned above . You must reach the minimum order for $50.00( before S&H and tax ) to qualify for my FSM punch card club & the Extra FSM token. More details on my FSM punch card club HERE. Since I will be away from my computer to check emails, if you were notified about your FREE stamp set from me I will get your Free stamp set ordered as soon as I am back on my computer as well as if anyone is interested in my Retired stamp sets I will reply to your email/s at that time as well . 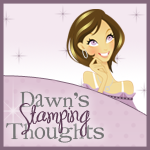 Tags: Goodies from Stampin'Up! in my mail box .